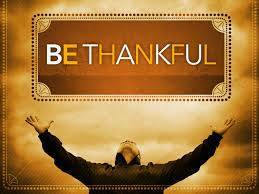 No Matter What, Give Thanks! Can you remember a time when you did something wrong but it worked out for your good?” One day I was reading from the book “Power of Praise” while driving. (I know, I know it was a NO-NO – reading while driving.) It was like I was drawn to keep reading. When I stopped at the traffic light on 7 Mile and Hubbard on my way to tutor some children at a home school, I was still reading when the light changed and I didn’t take off. There wasn’t anyone behind me so no one blew a horn. I just kept on reading and the next thing I knew a car came speeding by and ran the green light. I yelled, “Thank You Jesus!”. I still had time to go, but I just sat there through another red light and thanked God. Also, I had to give my heart time to slow down because it was racing a mile a minute. 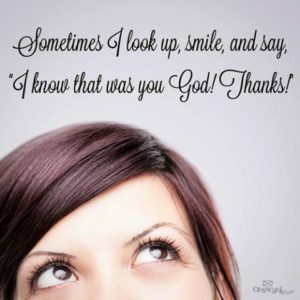 Just the thought of what might have happened If I had not been reading, “Power of Praise” scared me. l would have been hit. We stopped at a traffic light (yes, another traffic light- but I wasn’t reading) on Grand River and Beech Daly to let a couple of Fire Trucks go by, but the vehicle behind me, plus 4 others didn’t stop. The Buick behind me pushed us under the Van that was in front of me. Each time there was a bump we were going even further under the van, yelling “Jesus” and throwing popcorn. It was a sight! When it was over, all the popcorn was out of the bags all over the car. When we got out of the car and I asked the girls if they were OK. My next statement was, “Daddy is going to get us. We got popcorn all over the car.” We jumped back in the car and proceeded to pick-up the popcorn before my husband, Javan got there. Psalm 34: 8(a) says, “O taste and see that the LORD is good”. Well, that popcorn tasted good, but the goodness of the LORD tasted even better! When we got home the 3 of us headed to the basement and we prayed and thanked the Lord that we didn’t get hurt. I even got some olive oil and anointed our heads and necks so we wouldn’t be sore the next day. By Carol Turnbough called “Song of Joy”. – Song of Joy teaches and ministers to children and youth. She loves to praise God with her whole heart. She writes songs and skits to the glory of God and serves on the Music Ministry of Messiah Baptist Church in Detroit, MI. She also serves on the Christian Education Administrative Team and teaches Sunday School. Celebrate Fathers! Share Your Story. Father’s Day does not get the same overwhelming celebration as Mother’s Day. Fathers have an important role in the family and in the lives of their children. There are many quiet good black fathers and we need to celebrate them . This month as we celebrate Father’s Day let’s honor and pray for fathers, who may not be perfect, but who love their children, train their children, protect their children and have good relationships with their children. The week prior to Father’s Day I challenge you to share positive comments and reflections about your father, father figures, grandfathers, mentors and committed men. Please share your story and comments. A couple of years ago on Radio station 1200 AM in the city of Detroit, John Mason, of Mason in the Afternoon, was asking for positive reflections and comments about one’s father, grandfather or a father figure. One reflection, by a man who called into the radio station to comment, touched my heart. He stated that his father taught him many things by his actions. ” I learned how to be a father and the protector of my family from my father”, he proudly said. He went on to explain that “When I was about 7 years old I went “trick or treating” on Halloween with some friends”, said the caller. “ A bigger boy stole our bags. All I could remember was seeing a flash go by and jump the fence. Next thing I knew I had my Halloween bag back. It was my father who jumped that fence. He had been watching and covering me all the time”. The admiration Kim Bracey has for her father shines through every time she speaks of him. Kim Bracey will tell you she thought her father was “God” for the longest because he provided for her and was there every time she needed him. Rene Wallace shared that her over 70 year old father , who has now passed, still talked as if this middle aged daughter was his responsibility. Jeanette Johnson’s father has been dead for over 12 years but she talks about her father frequently with love and respect. Her honor and respect for his wisdom radiates from her heart for this man who only had a third grade education, but was full of wisdom , strength, and integrity who provided for his children and adored his wife and owned land and property and feed neighbors who were poor. When she speaks of him you can hear and feel the respect and honor she has for him. It was touching to hear their comments. Please share your positive experience with your father and what your relationship means to you.